Cottage life in Finland can be totally different depending on the location. We listed some stunning cottages and villas that offer unforgettable experiences for your holiday in Finland. Finland is often said to be the Land of a Thousand Lakes, but there are plenty of islands, too! Renting a cottage in one of the 180,000 islands gives a good chance to get away from everyday life. We recommend: Beautiful and modern Villa Aura is located on a little island called Östra Tallholm in Parainen, Turku Archipelago. The villa was built in 2011 and has room up to 10 people. The villa has 3 bedrooms, and a small loft room with a wide bed and a smaller bed for one person. The house was designed to be environmentally friendly without sacrificing comfort. Looking for a Great Place to See the Northern Lights? If you want to see the northern lights during your holiday in Finland, renting a cottage in Lapland gives a good chance to admire this magnificent natural phenomenon. The northern you go, the better the probability to see the Aurora Borealis gets. 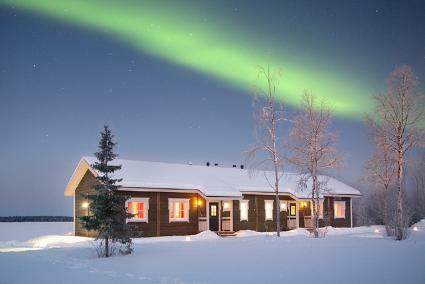 If you are very lucky, you may even get a chance to admire the northern lights when lying on a sofa in your cottage! We recommend: Stylish and spacious apartment by a lake, located in a traditional Lappish village. Due to the location and large windows facing north, this apartment is an ideal place to see the northern lights. The house, built in 2015, has a living room/kitchen, three bedrooms, sauna, bathroom, dressing room and a toilet. -> Check out all the cottages in Lapland like in Ylläs, Saariselkä or Ruka. This is a cabin a typical Finn would probably choose for his or her summer holiday. Situated far away from urban centers, a cabin in the woods offers a great chance to relax in beautiful natural surroundings. 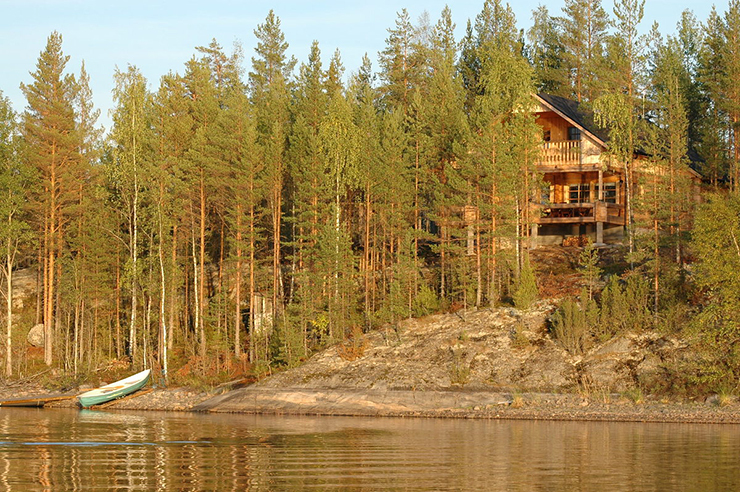 We recommend: Lokkero is a traditional log cabin located on the shore of Saimaa, the largest lake in Finland. The cabin is an ideal choice for everyone who enjoys fishing and spending time in peaceful, natural surroundings. The large terraces have stunning views to the lake all year round. 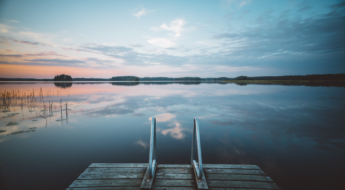 -> Find a cottage in Mikkeli, like Lokkero or check all cabins in Saimaa area. Do you want to try skiing or are you into other winter activities? Good news! On Gofinland’s site you will find many great cottages, apartments and chalets for your upcoming winter holiday in Finland. 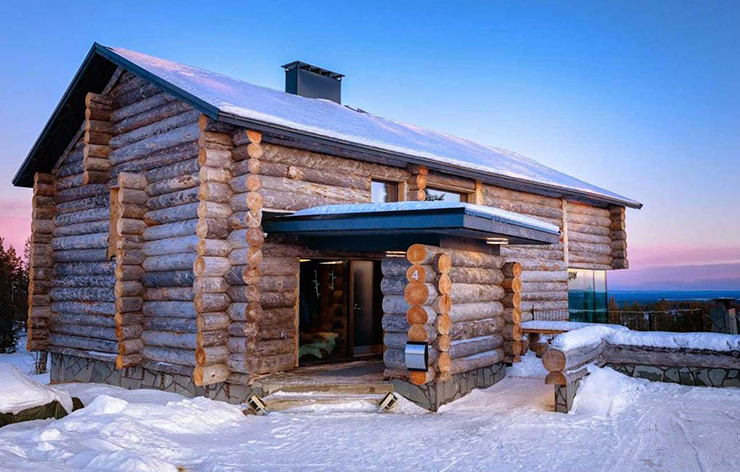 We recommend: Luxurious Levi ‘n’ Sky is a new, 5-star ski chalet in Levi Ski Resort in Finnish Lapland. Located on top of a 360-meter-high fell, the villa offers majestic outlook to a beautiful scenery. You can enjoy the views from the large wall-size windows or at the outdoor patio. When the weather gets too cold for your taste, warm up the premium jacuzzi, look up and see the dancing Northern Lights! Yes, it’s really possible to rent a cottage in the Helsinki metropolitan area, too. The nature surrounds the cities everywhere in Finland and Helsinki is not an exception. 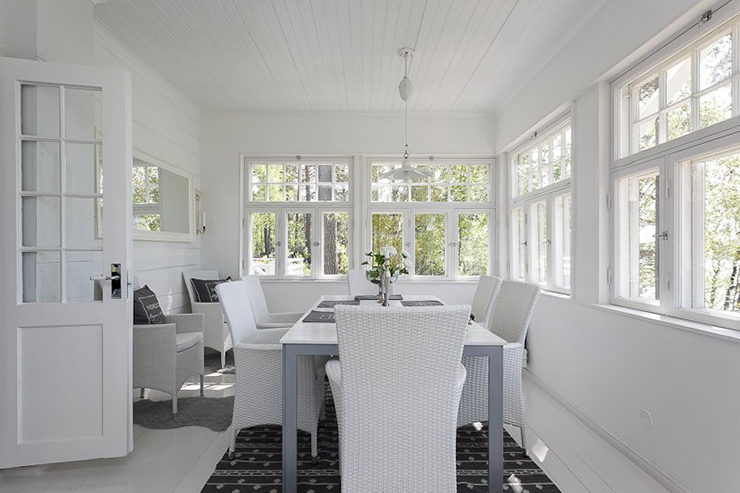 How would you feel to spend a holiday in a beautiful cottage close to Helsinki? We recommend: Villa Lora, located on Magsholmen island in Helsinki archipelago, was built in 1909-1910. The island has a total of 15 villas, most of them built in the late 19th century by Swedish-speaking bourgeois families. These villas, as well as Villa Lora, were originally built for living, but nowadays most of them are used as leisure homes. What a great Post you are! Great Reviews..! Wonderful COTTAGES decoration tips and ideas on your blog. I like your Post. You have shared awesome cottages place. It looks like awesome and gorgeous. I am full of inspiring now to going your cottage. I love your Post.